Yesterday, ACORN members invited the press, allies, and candidates running in the upcoming election on a City Wide Slumlord Tour. 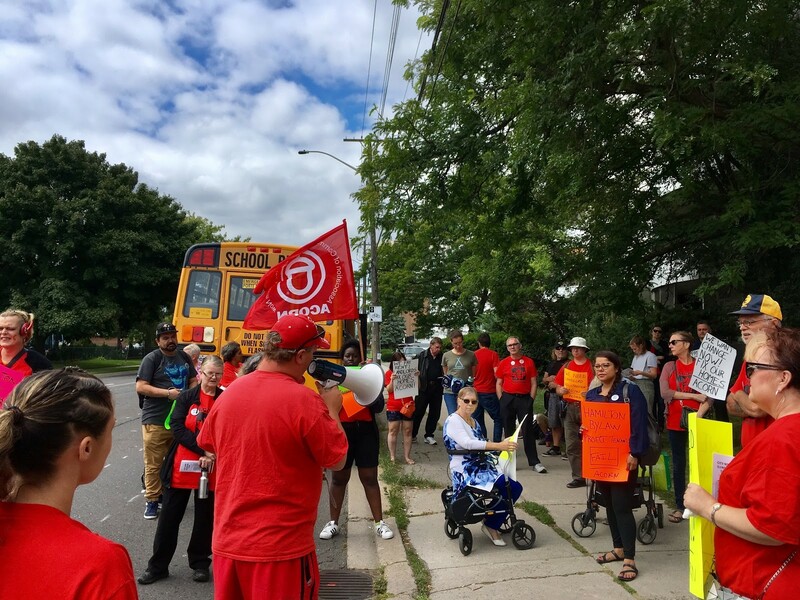 Hamilton ACORN has been campaigning for the city to revamp it’s property standards and create a Landlord Registration Program. The tour highlighted building on Melvin, the Mountain, and Downtown. Along the way leaders Mike Wood, Chantel Potter, and Cynthia Matuszewski spoke about the issues in apartment buildings. The last stop on the tour was City Hall for a final rally. In total, over 60 ACORN members and allies joined us on the bus and at City Hall.